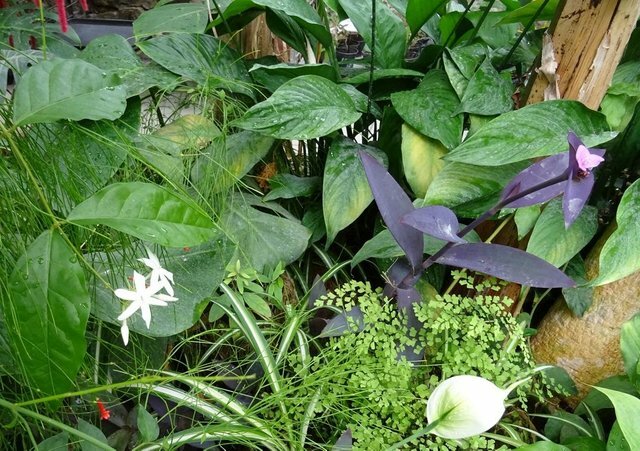 Strolling through the arboretum, I came upon a beautiful Conservatory with exotic plants. That here only was not: bright akalifa, with a beautiful flowing down like a bunch of grapes, delicate blossoms, and the majestic cycad, and amazing passion fruit. They looked very close to original, was very soft, fluffy, tender and very beautiful. The second name - foxtail, original, isn't it? And are home to the tropics of Southeast Asia and the shores of Australia. the Latin name of this plant - akalifa, translated from Greek language means nettle and, if you look closely, you can see that its leaves do look similar to nettle leaves. 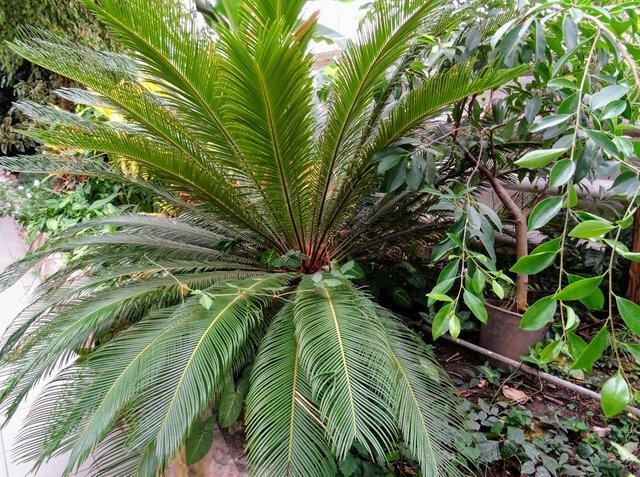 Here we found and here is a large cycad that I was immediately attracted by its long leaves. Mind thought a palm tree, but it was not the case. Although it has the same feathery leaves, like the shape of the trunk, but it refers to another collection. this is Probably the plant you found out, it is called perfoliate, which means "goat's milk". 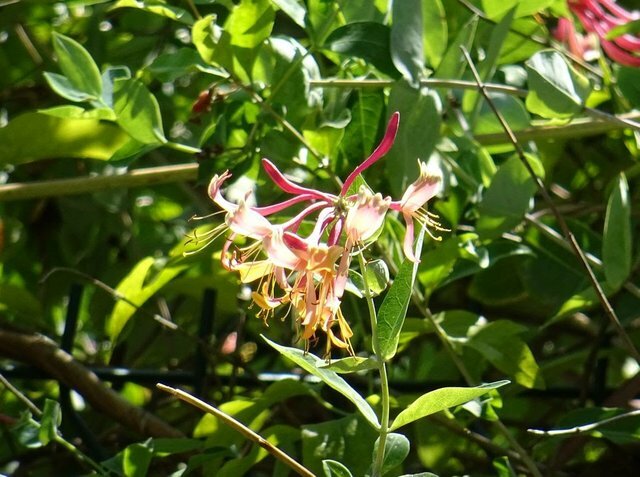 The flowers themselves are very fragrant and petite, with beautiful intricate stamens. In the height of this unusual vine can reach up to 6 meters. And her beautiful little shoots come in various shades from light green to bright red or purple. By this beauty I couldn't even get through. 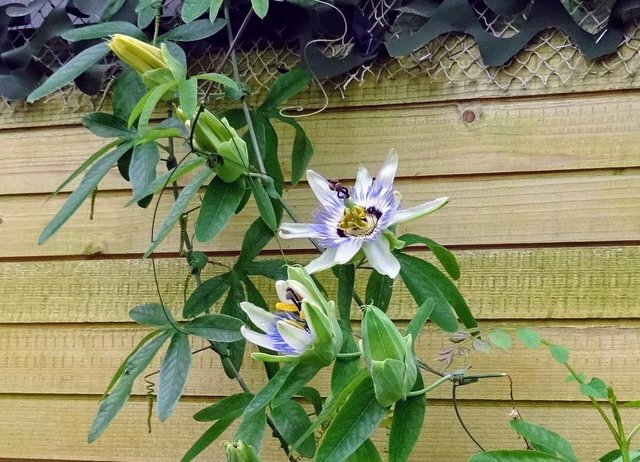 It's called passionflower. 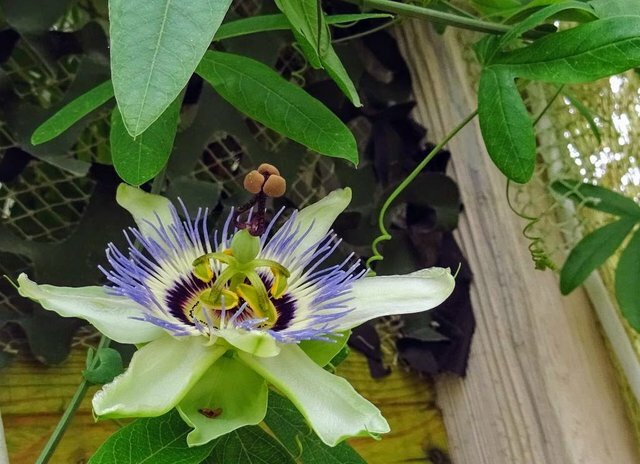 The flowers of the Passiflora, or passion flower, shaped like a star, often called "knight's star". 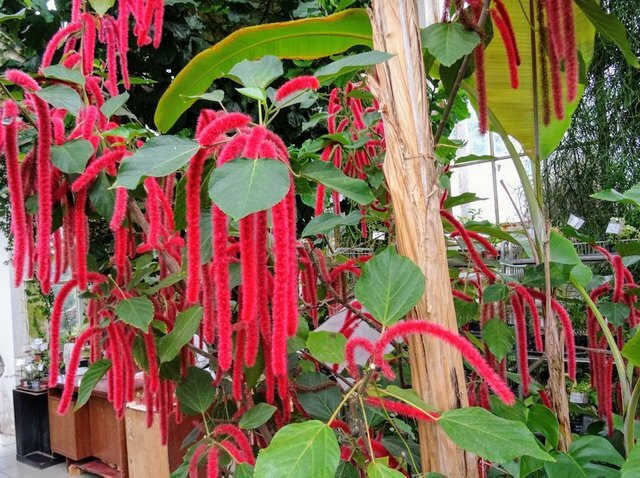 These flowers belong to the genus of the family strastotsveta. In nature only grows in tropical America and along the shores of the Mediterranean. what they fancy, as if from a fairy tale. So it seems that at some point you look at them and see Thumbelina, which was chosen by a cozy corner. But, seriously, his name comes from two Latin words which are translated as "suffering" and "flower". Such an interesting name flower got thanks to the travelers who came in a distant South America. 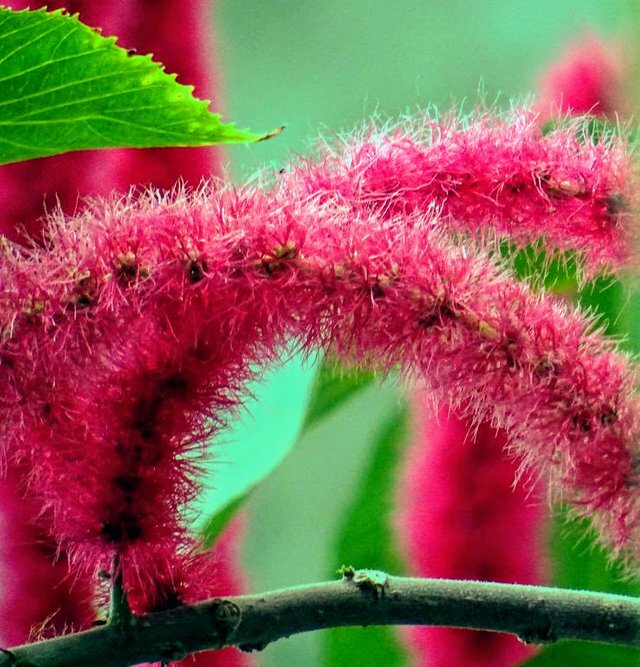 This is a striking plant reminded them somehow of the suffering of Christ. Although I don't quite understand why suffering? The flower is so tender, bright and beautiful that it's hard for me to associate with suffering. 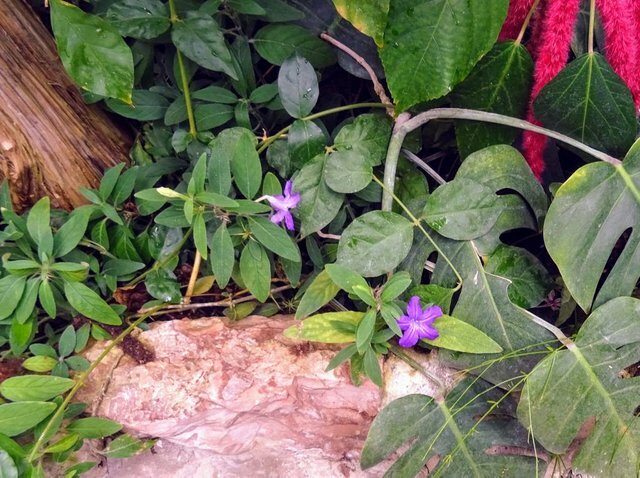 But it is a well-known periwinkle, or sorcerer's violet. He became a symbol of the life force, it used to be found only in the forest, but today found in gardens and parks. The leaves of the plant are distinguished and density, and are resistant to cold, always have a fresh view, very unpretentious. Many centuries ago it even used in magic, hence, perhaps, was his second name - magic violet. I believe that the plant has some protective properties. In ancient times, many of his carried with him and kept the house (amerigas from evil spirits). 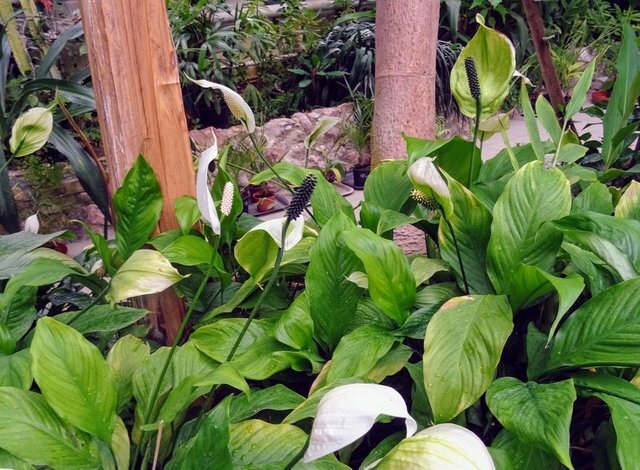 Spathiphyllum, you've probably already learned this genus of plants belongs to the family of erodov, and nature has more than forty species. But the homeland of the Spathiphyllum is America, it grows there in the impenetrable tropical forests, and on mountain slopes. And this is my favorite codiaeum (Croton). I really like its variegation. Beautiful, isn't it? 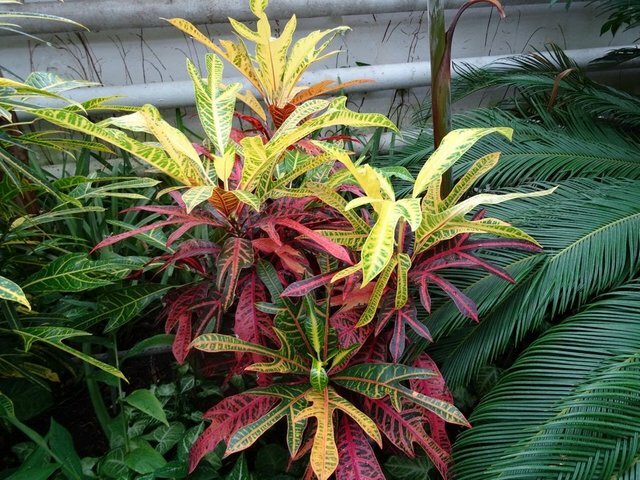 Croton, or as it is also called "coat of Joseph", a very bright decorative tropical plant. It refers to the numerous family Euphorbiaceae. In nature there are various kinds: among them there are not only trees, but shrubs and trees, and various amazing herbs. At the same photo real floral natural composition, do not even need to come up with an original bouquet, all in one place. 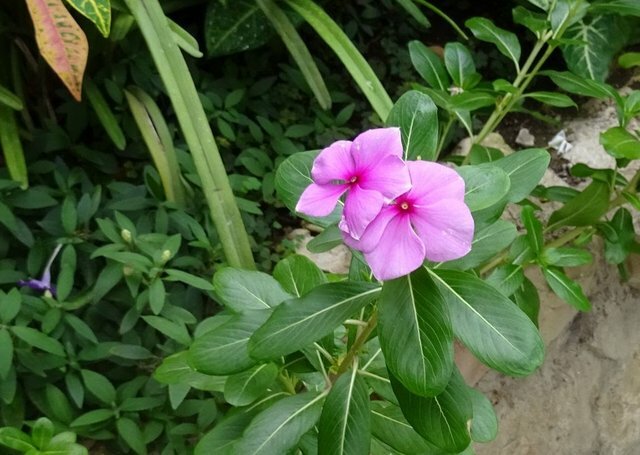 the handsome man is called Catharanthus. Also not the most common of the colors, some parts contain alkaloids, so when you work with him, you need to be very careful or to do everything with gloves on, otherwise you can buy and Allergy. Hey Kinga. I'm also a fan of nature. I love walking through nature and admiring great creation. They make me feel lively. Thank you for your attention! Wish you success and good luck! Watch for the flowers - fun. The @OriginalWorks bot has determined this post by @singa to be original material and upvoted(1.5%) it! Congratulations! 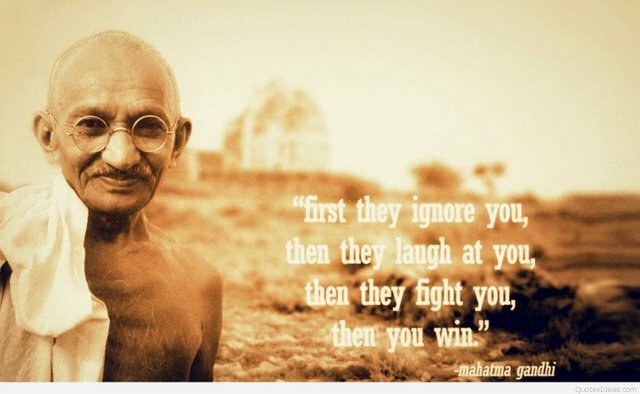 This post has been upvoted from the communal account, @minnowsupport, by singa from the Minnow Support Project. It's a witness project run by aggroed, ausbitbank, teamsteem, theprophet0, someguy123, neoxian, followbtcnews/crimsonclad, and netuoso. The goal is to help Steemit grow by supporting Minnows and creating a social network. Please find us in the Peace, Abundance, and Liberty Network (PALnet) Discord Channel. It's a completely public and open space to all members of the Steemit community who voluntarily choose to be there.